From mowing to weeding flower beds and sidewalks, GroundForce does it all. Our local lawn care services are available to both residential and commercial customers and are available in forms of weekly or bi-weekly services. Our full lawn maintenance service covers mowing, trimming, edging, and bagging all grass clippings from the entire property from all paved surfaces and flower beds. From the lawn itself to the cleanup, GroundForce is the force your ground doesn’t stand a chance with. Turning heads is our only persona with our lawn care and precision. 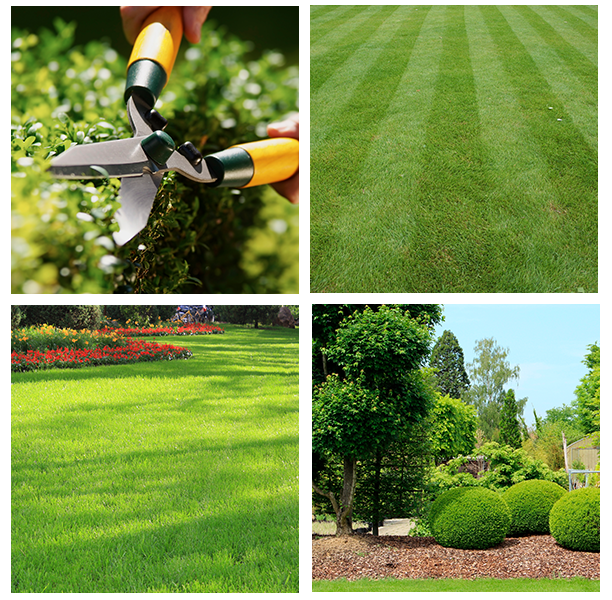 Our lawn maintenance clean-ups are the right way to start and end your season. Of all the local lawn service companies, we offer the best quality and prices, bar none. The overall health of hedges and shrubs results from proper care. Badly overgrown and unkempt shrubs and bushes will have a negative impact on the appearance and value of your home. Shrubs, bushes, and hedges are arguably the most underrated and undervalued of all landscaping plants. Hedge and shrubs give a natural look to enhance the curb appeal of your home while providing complementing lawn and hardscapes, such as walkways, patios, and stonewalls. Turning heads could not be easier for your property, and with GroundForce, it is as easy as a phone call away. Free consultations are available, so schedule today! Feel free to reach out to us over the phone or by email if you have any questions!